This capsule collection from Nomination celebrates the laid-back lifestyle of Honolulu, Hawaii. 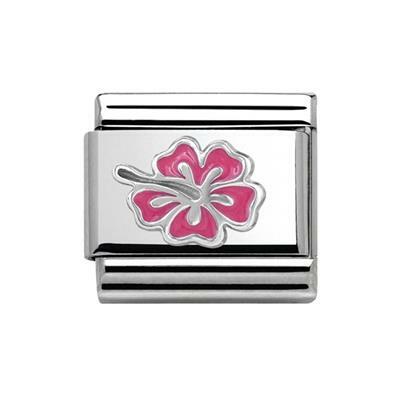 Add some summer style to your Nomination classic bracelet with this fabulous Silver oxidized flower charm with pink Enamel. A beautiful floral addition to your Nomination bracelet bringing you a touch of summer all year round, aloha!